Achebe’s most recent book, his long-awaited memoir of the Nigerian-Biafra war, is both sad and angry, a book by a writer looking back and mourning Nigeria’s failures… an account of the most important event in Nigeria’s history by Nigeria’s most important storyteller. She read me the blurb Achebe had just sent her. “We do not usually associate wisdom with beginners, but here is a new writer endowed with the gift of ancient storytellers…” Afterwards, I held on to the phone and wept. I have memorized those words. In my mind, they glimmer still, the validation of a writer whose work had validated me. I wanted to tell him how much I admired his integrity, Before I went on stage, he told me, “Jisie ike.” I wondered if he fully grasped, if indeed it was possible to, how much his work meant to so many. I have been startled and saddened by the responses to this excerpt. Many are blindingly ethnic, lacking in empathy and, most disturbing of all, lacking in knowledge. We can argue about how we interpret the facts of our shared history, but we cannot, surely, argue about the facts themselves. I think Nigeria would be just as backward even if the Igbo had been fully integrated – institutional and leadership failures run across all ethnic lines. But the larger point Achebe makes is true, which is that the Igbo presence in Nigerian positions of power has been much reduced since the war. But, before the propaganda, something else had sown the seed of hateful fear: the 1966 mass murders of Igbo in the North. The scars left were deep and abiding. We must confront our history, if only to begin to understand how we came to be where we are today. An Igbo saying goes: If a child does not ask what killed his father, that same thing will kill him. Achebe is a war survivor. He was a member of the generation of Nigerians who were supposed to lead a new nation, inchoate but full of optimism. It shocked him, how quickly Nigeria fell apart. In THERE WAS A COUNTRY he sounds unbelieving, still, about the federal government’s indifference while Igbo people were being massacred in Northern Nigeria in 1966. But shock-worthy events did not only happen in the North. Achebe himself was forced to leave Lagos, a place he had called home for many years, because his life was no longer safe. His crime was being Igbo. A Yoruba acquaintance once told me a story of how he was nearly lynched in Lagos at the height of the tensions before the war; he was light-skinned, and a small mob in a market assumed him to be ‘Igbo Yellow’ and attacked him. The vice chancellor of the University of Lagos was forced to leave. So was the vice chancellor of the University of Ibadan. Because they were Igbo. 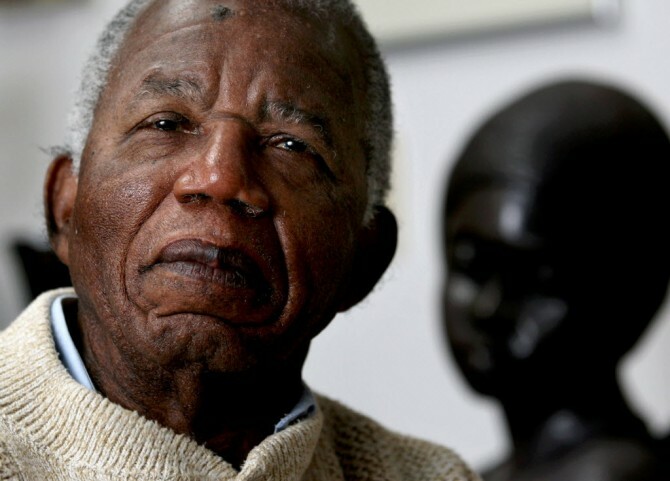 For Achebe, all this was deeply personal, deeply painful. His house was bombed, his office was destroyed. He escaped death a few times. His best friend died in battle. To expect a dispassionate account from him is a remarkable failure of empathy. I wish more of the responses had acknowledged, a real acknowledgement and not merely a dismissive preface, the deep scars that experiences like Achebe’s must have left behind. We cannot deny ethnicity. It matters. But our ethnic and national identities should not be spoken of as though they were mutually exclusive; I am as much Igbo as I am Nigerian. —And what is that your truth that is lying before their face? When fools open their mouth it doesn't require a second guess to see where they are coming from! Please, if as you claim, you are 'Igbo' then take time to study your history before the same befall you! Over 60 years Jews are still picking up all those in their late 90s accused in one way or the other of taking part in their holocaust, are also you going to tell them to do away with defeatist mentality? It's good you seek for the truth, but the truth is all there. It is simply, people (Igbos/Biafrans) that were rejected despite all their effort (Even refusing to accept independence from British, because the North were not yet ready), was suddenly marked for extermination, with all forms of bogus accusations, mainly that they plotted the 1966 coup (Because one of the leaders happens to be Igbo person), Ironically, the two Igbo officers Ojukwu and Ironsi managed to stop the coup. Yet that did not stop the already planned action to be managed and tele-guided by British. They started with the pogrom, wiping virtually all Igbos in the North and other places in the so-called Nigeria, until the surviving Igbos were forced to run home to the East, and what else could have been the only protection for them if not to declare an independent republic as a way of officially protecting its people. Now despite being rejected all over 'Nigeria', they were still not allowed to declare independent, when no protection was coming from the so-called Nigeria. They were attacked and total blockade imposed in other to hasten the plot of wiping them out. Now what do you call that kind of action? Should such people be expected to apologize for going back to their home and protecting themselves? The problem is that the truth is always the first casualty in any conflict, but the truth remains the truth! Nigeria, British and their allies remains an epitome of terrorism and states that sponsor terrorism. Check the history of Britain and that of their colonies like Nigeria on those that wish to make a life for themselves. Unfortunately, in a sick way of defending ones' inglorious past, some Yorubas' has taken the war upon themselves to defend every aspect of it, even the indefensible selfish roles that the Yoruba leaders like Awolowo played. They choose to worship the war criminal that even denied them their best opportunity to free their people together with the Biafrans. They are really lucky that Biafrans are never bitter people, unlike all the rubbish the talk about Achebe being a 'bitter man', because he refused their worthless 'national criminals award', aimed at buying him over. Powerful and extremely insightful. Thank you for this. I believe in history up to the point where it is used for progress. I believe Nigerians are today a people so battered that they need not languish in more historic'battering'. The people past have made their mistakes…we need to learn from them and move forward. Instead I see an awakening of history but unfortunately used as a weapon to wage ethnic wars in writing and otherwise and I really hope Miss Chimamanda in not moving in that direction. I think she is a great writer but wish to urge her not to allow her future to be poisoned by the past for only this reason: What will it achieve? The new stock of Nigerians had no hand in the Biafran war. So what can the blame game possibly achieve? So yes history is great but only when one learns not to make the same mistakes. Is this article about the civil war or Achebe’s birthday? Our Igbo folks are so fixated on this civil war and the lies they have chosen to believe even when the obvious is staring them in the face. Chimamanda has chosen not to be an exception. I wonder when they will do away with this defeatist mentality. …my God, bt dts a Mouthful is'nt? U intelligent Ladies….. I am a 80s child. One aspect of our history which has baffled me is the Biafran war. Nobody seems to be able to give accurate accounts without taking sides with either Nigeria or Biafra. I wish someone would write about it and gi ve facts. I can understand the Great Achebe being pained. I can understand the Igbos being pained but before now, the impression I had was that the Igbos started this Biafra matter and hence, should have accepted whatever was metted out to them. I am Yoruba and I don't want to take sides with any tribe. I want facts so that I can come to my conclusions myself. Chimamanda, you are a great mind. If you can write a book on this matter stating stories from both sides, Nigerians will appreciate it. Like you said, we must address history or we stand the risk of repeating it. God bless u, God bless The Great Achebe and God bless Nigeria. Well said and in as much an objective way than has been said in any duscussion circle (atleast for the ones I have read). I, too, like all in my generation, only heard incarnations of the war but in all, I have always sought for an objective opinion. Certainly, it is a fall out if empathy to expect one like Achebe, who was there and witnessed it all. Who still lives with the memories, bearing the scars, and I dare say, having nightmares of those horrific days, to have written his memoirs from a different perspective. My generation however prays that Nigeria is not plunged into any of such again. And yes, we must talk about it, we should teach it, we should learn from it, the ills and evils, even destructions that accompany wars but then, that we are objective and sincere, willing to hear one another's angle of the story is my greatest desire. "Biafrians"? I thought It was Biafrans? This spelling was repeatedly continually and I couldn't help but notice it. Also the igbo adage says "A child that wants to know what killed his father, that which killed his father will kill him" unless Ms. Adichie paraphrased this adage to suit this piece. On the piece, I think We need to talk about Biafra, about this genocide some of our parents lived in. Wow! 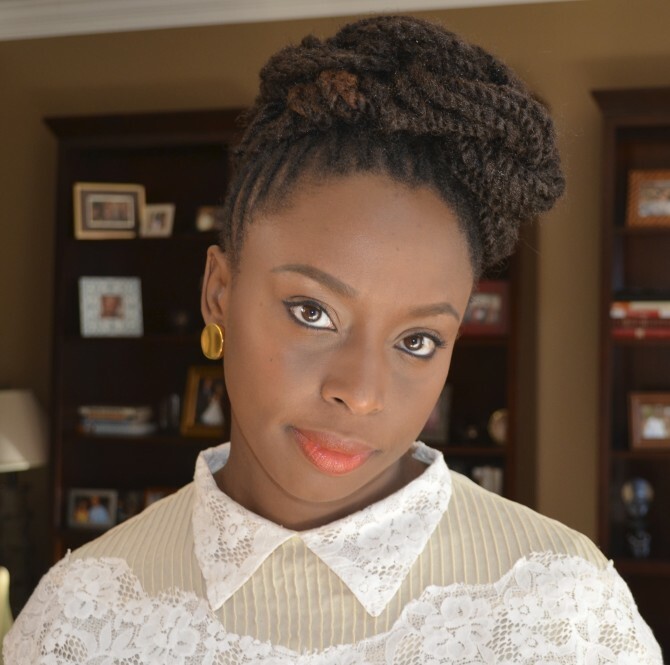 Adichie sure has God given talent! God bless u dear 4 this insightful piece into what we fear to even discuss! HBD 2 Chinua Achebe! His name will never be in the mud no matter how people try! The innocent blood still speaks today through the chosen vessels who proclaim the truth without fear and discrimination. God bless you for writing such a piece, let the will of God continue to be stablished and light beacon through our generation and generations to come. Wow, I have never really given much thought to the Biafran war before. It was before my time and no one in my family, as far as I know, was affected. But now, reading this, I'm starting to get it. It's sad… Although, we'd all like to move on and forget it ever happened, its still very much something we hv to deal with. The ethnicism that obviously exists in Nigeria today began then…and seriously, I don't think we can move on with the future until we deal with the past. There is nothing to enjoy yet in Nigeria. Until d past is resolved and the cries of marginalization settled, Nigeria will keep crawling. I celebrate U̶̲̥̅̊ CHINUA ACHEBE, a rare gem. As undisappointing as ever. Chimamanda adichie make me tear for joy for this generation. I wasn't there. And I haven't done the research. So nothing to add here, except my intuition that Achebe should stop boning and come and enjoy Naija small. We adore the man.